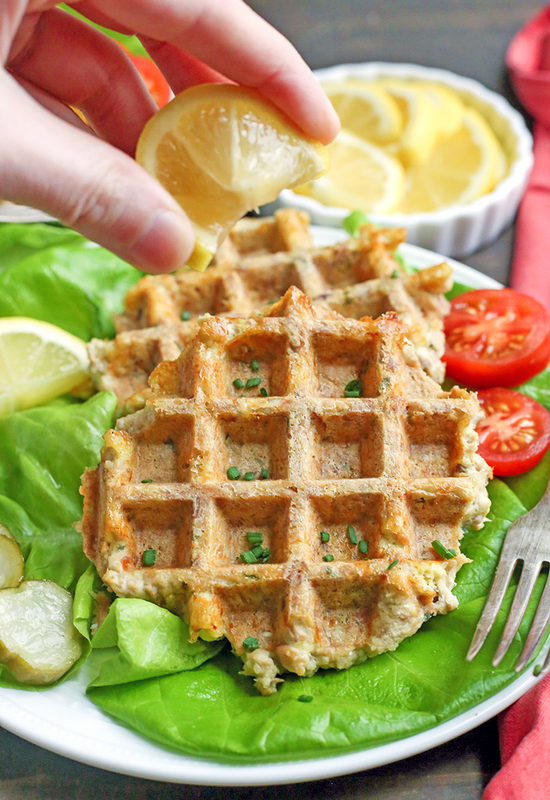 These Paleo Whole30 Tuna Cake Waffles are quick, easy, and healthy! 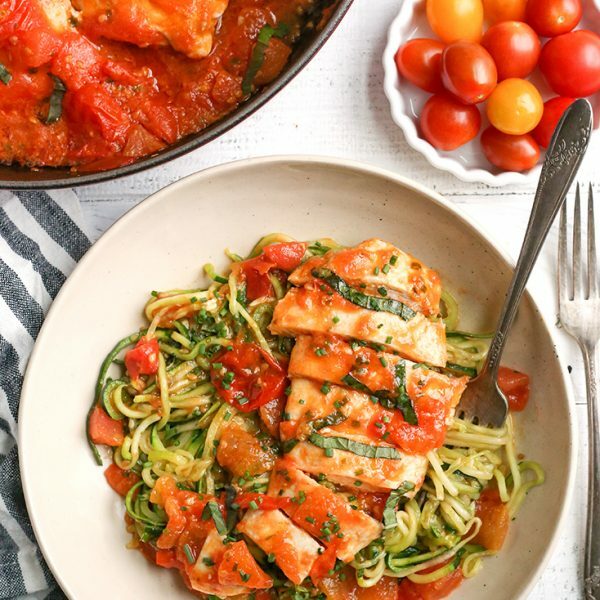 Made in just minutes and gluten free, dairy free, nut free, and low FODMAP. 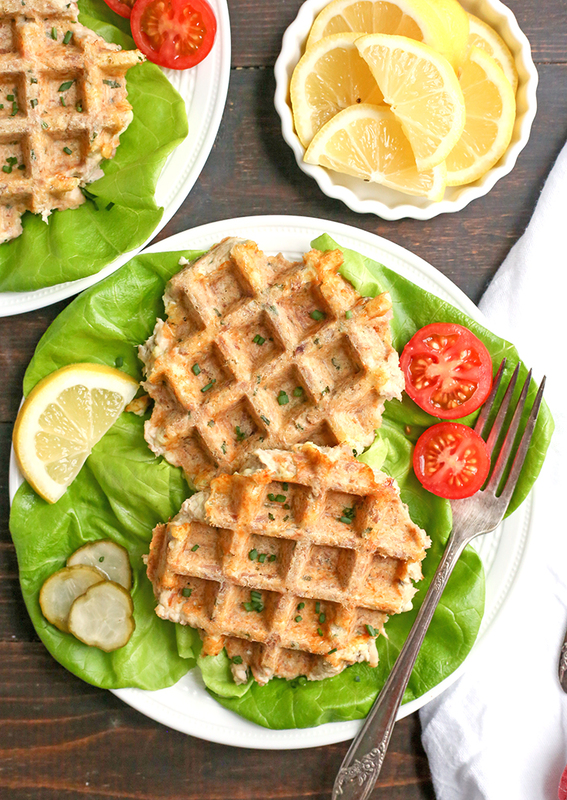 My Paleo Salmon Cake Waffles and Paleo Crab Cake Waffles are well loved and I knew it was time to make a tuna version. 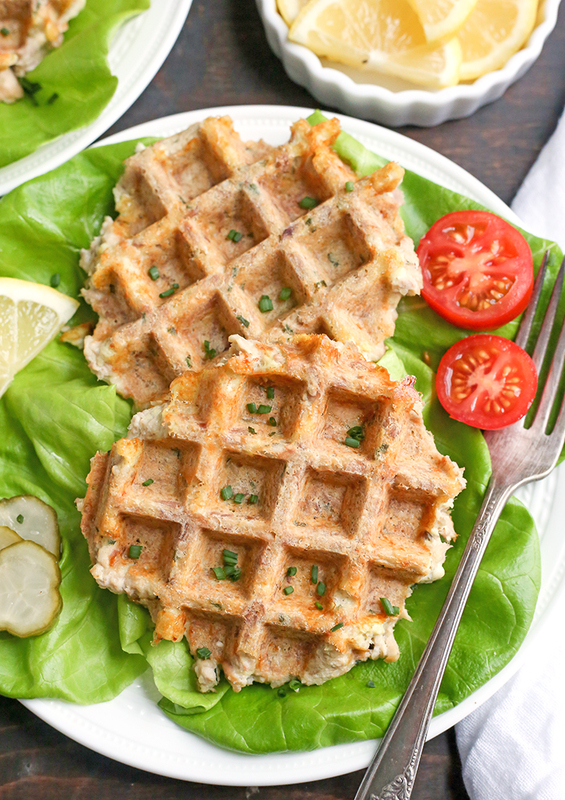 Tuna is my favorite and these are definitely my favorite of all the waffles. These are similar to the other two, but different. They are especially good served with some pickles on top. 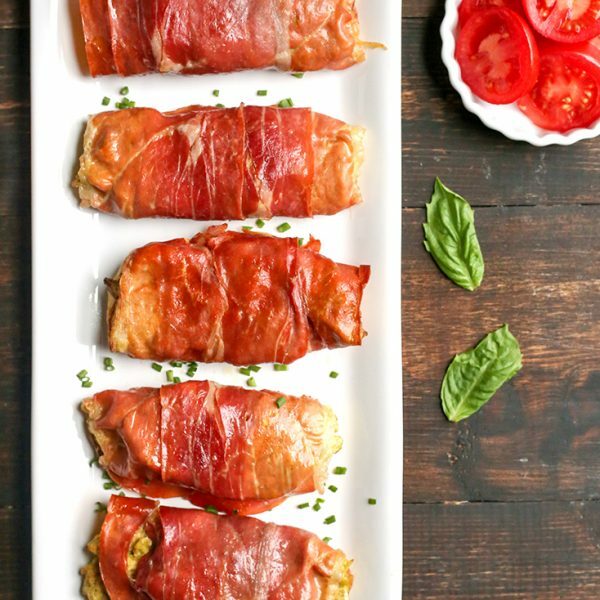 They are easy to make and take only 4 minutes to cook. The mixture can even be made ahead and stored in the fridge until needed. Once cooked they are crispy on the outside and tender on the inside. 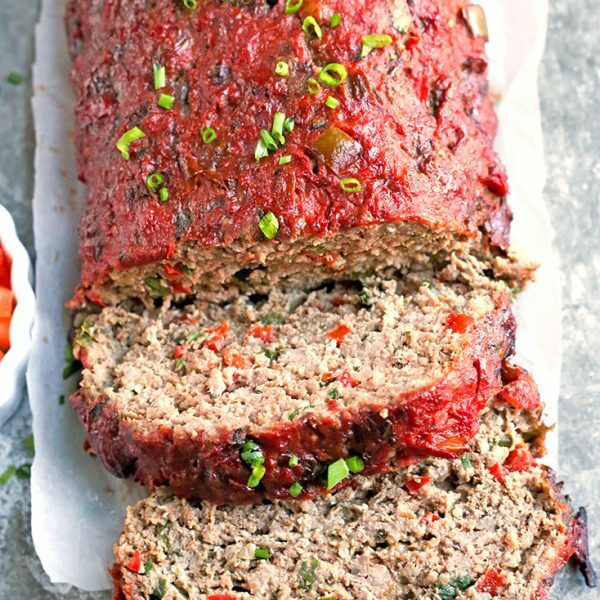 Perfectly cooked every time and so delicious! These are low FODMAP (click here for more info on that) so garlic oil and chives are used for flavor. The other versions use almond flour as a binder and that would work for these as well, but I use sunflower seed flour since we tolerate it better. I just place raw sunflower seeds in my blender and it takes about 30 seconds. You can buy it as well, but it’s more affordable to make it. This is also a nice option to keep them nut free. 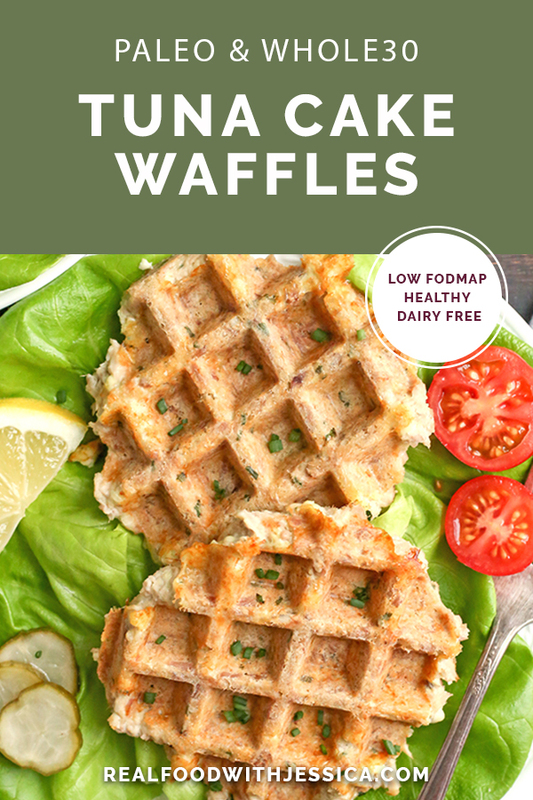 *If you don’t need these low FODMAP, feel free to use garlic and onion powder and almond flour. I hope you love these as much as I do! 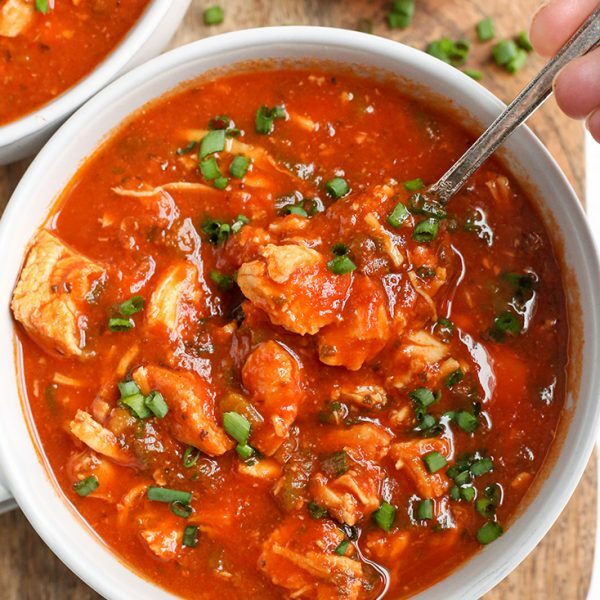 They are such a tasty way to enjoy tuna. HERE is the waffle maker I have and love. It’s affordable and reliable. 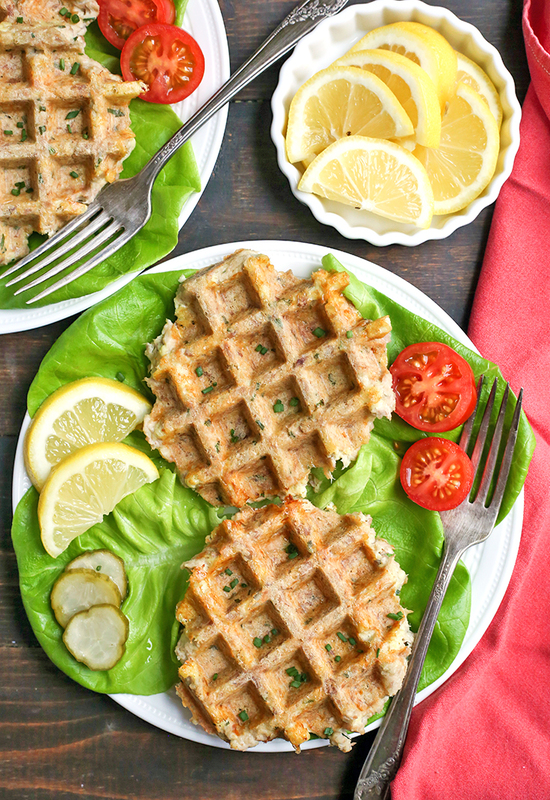 My other savory waffles that you’ll enjoy: Paleo Whole30 Salmon Cake Waffles and Paleo Whole30 Crab Cake Waffles. In a large bowl ,combine tuna, mayo, lemon juice, garlic oil, eggs, chives, sunflower seed flour and salt. Mix well. Heat your waffle maker up. Mine has a little light that goes off when it's preheated. Read the instruction manual for yours to know when it's ready. Form 4 equal patties. Place 2 patties (or how ever many fit on your waffle maker) on the waffle maker and close. Cook for 4 minutes or until golden brown on the outside. Carefully remove them and transfer to a plate. Repeat with the remaining 2. Serve hot. *I make this by adding raw sunflower seeds to my blender and processing them for about 30 seconds. You can buy it as well. If not needing low FODMAP or nut free then you can use almond flour.